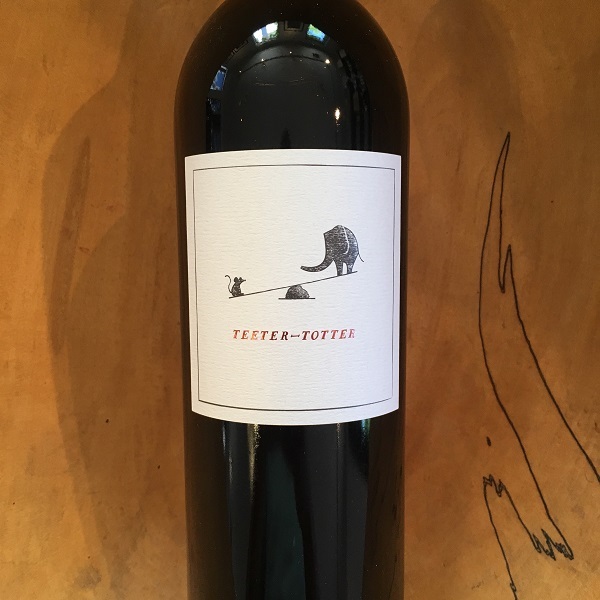 Winemaker Benoit Touquette is onto something great with his own Teeter Totter brand. His efforts with his Fait Main label are exceptional as is his winemaking at Realm Cellars and Kata, but this is his workhorse, fun wine project that brings very good wine at an even better price to the table. Having unlimited access to some of the best fruit in the valley, Benoit has produced a 2015 that is full-bodied and bold with blackberry and briary notes that lead onto the palate with warm baked spices and a rich mouthfeel. For this vintage, Benoit sourced from key vineyards in Calistoga, Saint Helena, Pritchard Hill and Yountville. Blending has become one of his strengths and this Napa Valley Cabernet is a good example of his efforts.